This year, $50,000 of the library’s collection budget was set aside to strengthen strategic areas of the book collection, as identified by librarians and informed by academic and research needs. One area that the library prioritized is the expansion of our existing collection of books by indigenous authors and publishers. Leddy Library also acquired indigenous-themed material to support disciplines across the campus, such as philosophy and education. While not all of this material has yet arrived, a selection of the books that has been catalogued are on display on the first floor of the Leddy Library main building. 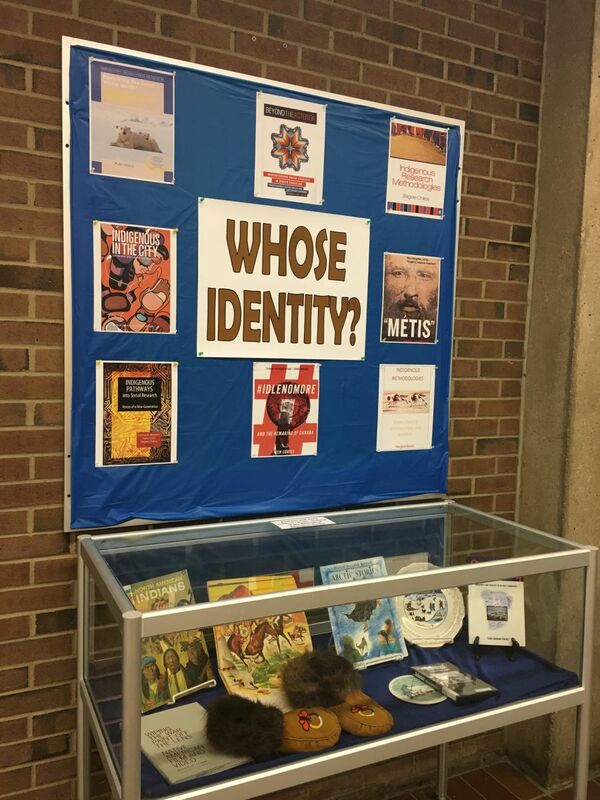 The Aboriginal Education Centre and the Leddy Library collaborated to create two displays in the glass cases to highlight our expanding collection. One hundred and twelve items have been purchased, and more books are expected to be acquired in the upcoming weeks. A map of Indigenous territories has also been added to Leddy’s collection. The map can be found on the bulletin board near the display of books. Post-its are provided for indigenous students and community members to update and correct the map’s information. Come down to the Leddy Library to check out our new additions to the collection!